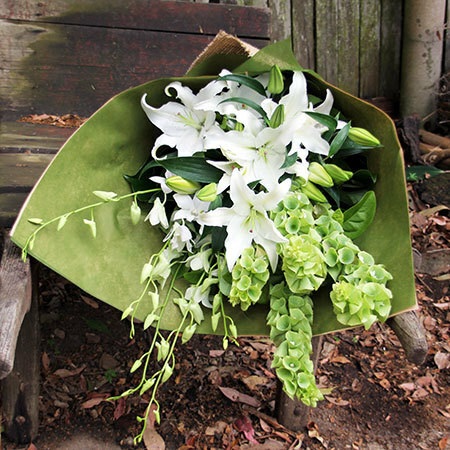 An all white tropical bouquet of blooms featuring exotically perfumed oriental lilies and Singapore orchids, accented with lime green Bells of Ireland and lush foliage. This is a sophisticated, modern floral design and is also wonderfully long lasting. 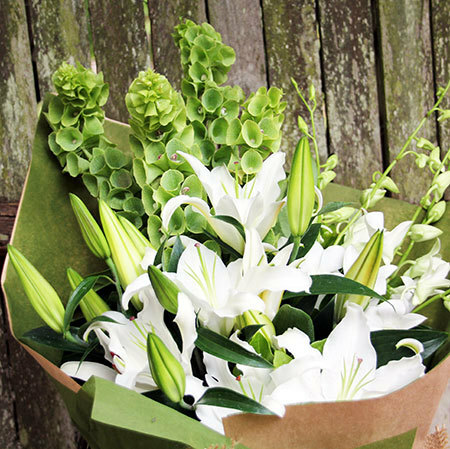 Order via our online florist shop or give our friendly consultants a call on 1800 66 66 46. 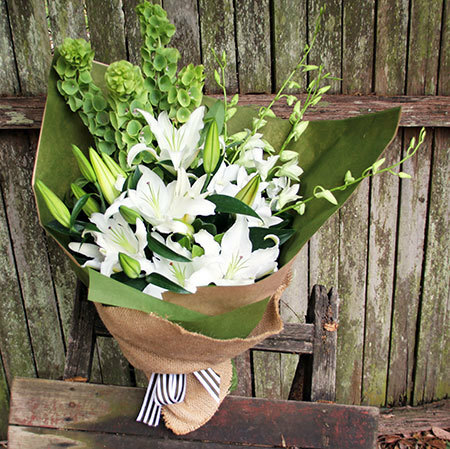 *Please note: The pictured bouquet and presentation is exclusive to Sydney only. 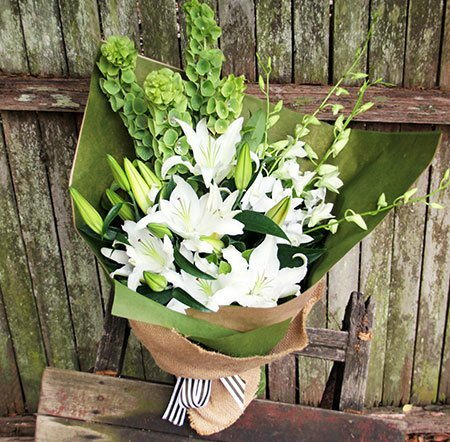 For flower delivery outside Sydney, the team will coordinate your order via an affiliate florist network to recreate our style and design as closely as possible. 2016-11-03 Delivered the product as advertised. Within the timeframe promised and product was of the same quality as the picture. 2016-01-28 Service rating : The flowers were delivered in the afternoon. Product : The selection was lovely and I had great feedback.